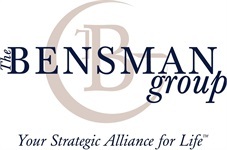 Bob, a Chartered Life Underwriter (CLU), has been with The Bensman Group since 1989. Prior to working with The Bensman Group, Bob spent sixteen years as an executive in a family metal business providing him a unique "vantage point" dealing with closely held family businesses. Bob's target market includes executives, professionals and business owners. Bob specializes in long-term care insurance planning with extensive experience with large group long-term care insurance enrollments. Bob earned his BS degree from Bradley University in Peoria, Illinois. He acquired the Chartered Life Underwriter (CLU) designation form The American College, Bryn Mawr, PA.
Bob holds Investment Company Products/Variable Contracts Limited Representative (Series 6); General Securities Representative (Series 7); Uniform Securities Agent State Law Examination (Series 63); and Uniform Investment Adviser Law Examination (Series 65). Personal interests include: family, baseball, and painting. Bob also organized all of his high school reunions and he is one of the founders of Men's Senior Baseball in the Chicago area. Bob resides in Deerfield, Illinois with his wife; they have three children, and one grandchild.